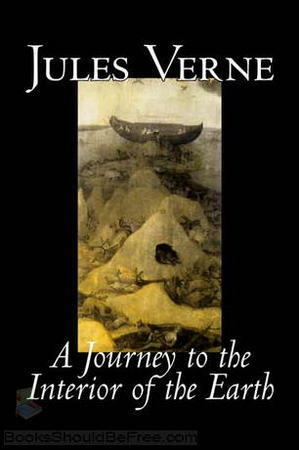 Journey to the Interior of the Earth is an 1864 science fiction novel by Jules Verne (published in the original French as Voyage au centre de la Terre). The story involves a professor who leads his nephew and hired guide down a volcano in Iceland to the center of the Earth. They encounter many adventures, including prehistoric animals and natural hazards, eventually coming to the surface again in southern Italy. The story begins in May 1863, the Lidenbrock house in Hamburg, with Professor Lidenbrock rushing home to peruse his latest purchase, an original runic manuscript of an Icelandic saga written by Snorri Sturluson ("Heimskringla"; the chronicle of the Norwegian kings who ruled over Iceland). While looking through the book, Lidenbrock and his nephew Axel find a coded note written in runic script. (This is a first indication of Verne's love for cryptology. 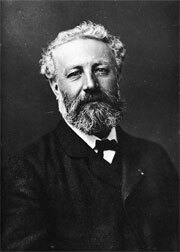 Coded, cryptic or incomplete messages as a plot device will continue to appear in many of his works and in each case Verne goes a long way to explain not only the code used but also the mechanisms used to retrieve the original text.) Lidenbrock and Axel translate the runic characters into Latin letters, revealing a message written in a seemingly bizarre code. Lidenbrock attempts a decipherment, deducing the message to be a kind of transposition cipher; but his results are as meaningless as the original.